As Minnesota Accountants and Lakeville CPA’s, we are always looking for ways that we can help Minnesota small business owners mitigate their income taxes, and reduce self employment taxes. One of the great ways to do this is to look at hiring your kids if they are under the age of 18, with a couple of caveats. The first is that you definitely want to connect with a Minnesota Accountant or Minnesota CPA like our very own Nick Meester from Nuance Financial. We help Minnesota small businesses focus on what they do best, by serving them as their outsourced accountants, bookkeepers, tax advisors, and payroll specialists. We’re Lakeville CPA’s and Minnesota Accountants that serve as an outsourced finance team to reduce your taxes and help you pay only your fair share in taxes. But how can you know if hiring your kids can lower your taxes? 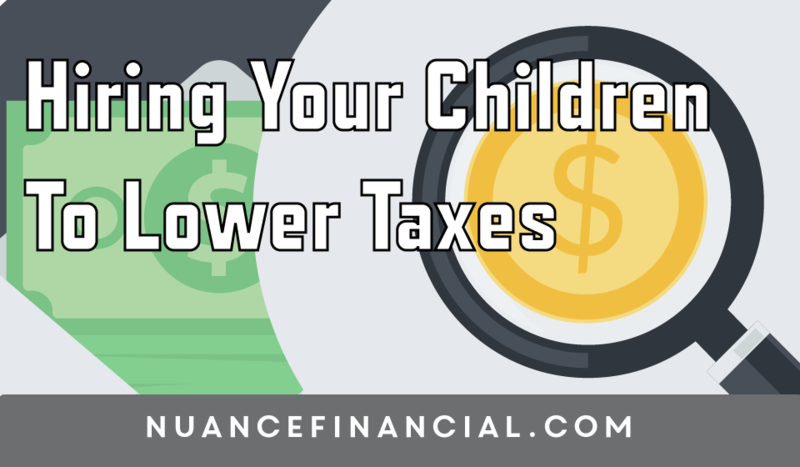 Your child can earn up to the standard deduction for single taxpayers ($6,300 for 2015) before they owe tax on their income. The next $9,225 is taxed at just 10%. Earned income isn’t subject to the “kiddie tax” for children under 19 (or dependent full-time students under age 24). *2 Other family employees pay tax at their regular rate. Pay your employee a reasonable wage for their age and the service they perform. Their wages should be similar to amounts paid for similar services by similar businesses under similar circumstances—with adjustments made for their age and experience. To verify your deduction and audit-proof your return, keep a timesheet showing the dates, hours, and services performed. *5 Pay your child by check, and deposit the check in an account in the child’s name. This can be a Roth IRA, Section 529 college savings plan, or custodial account. You can’t use custodial assets for your obligations of parental support; however, parental support doesn’t include “extras” like private or parochial school tuition, summer camps, and similar expenses. If your business is taxed as a proprietorship, you don’t owe Social Security or Medicare taxes on your child’s wages until they reach age 18. *6 You don’t owe unemployment tax until they reach age 21. *7 The same rule applies if your business is taxed as a partnership and you and your spouse own all partnership interests. Hiring family members to help work in your business also lets you establish employee benefit programs such as a medical expense reimbursement plan, education assistance plan, and retirement plans. 3Eller v. Comm’r, 77 TC 934. 4Denman v. Comm’r, 48 TC 439 (1967).